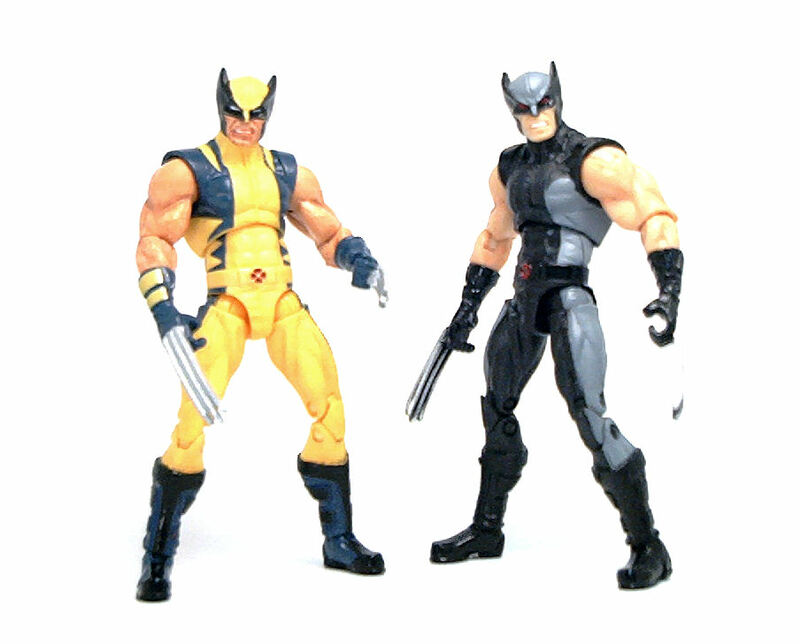 Now, even though Hasbro did develop at least one original Wolverine sculpt at the start of their Marvel Universe line, a lot of the subsequent Wolverine figures produced in this line are actually based on the original X-Men Origins: Wolverine molds from a few years ago, and this version of Wolverine follows suit by re-using the body from the Fastball Attack 2-pack (with Colossus), and a new head sculpt. 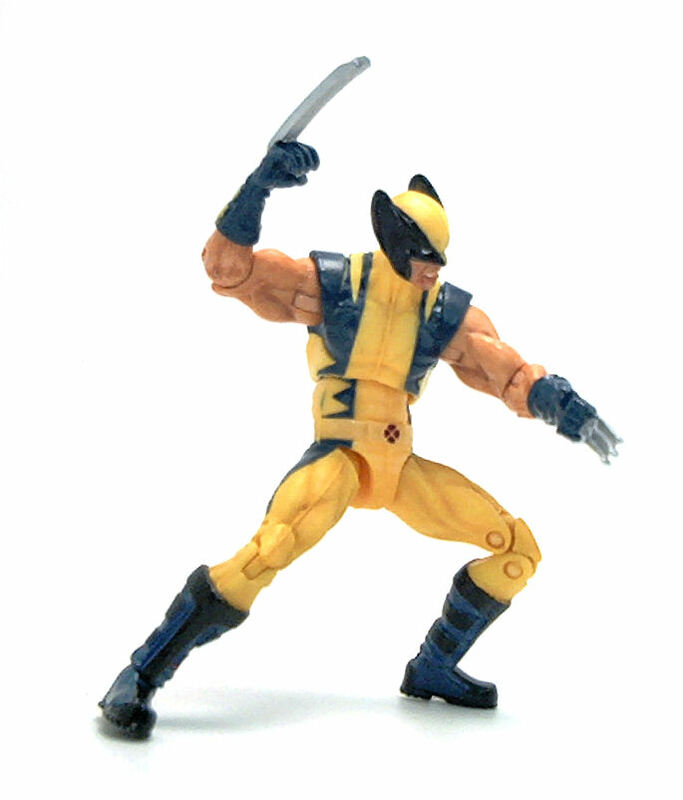 And even then, the figure is still technically just a re-paint of the Wolverine figure that we saw earlier in the X-Force Team Pack from 2011. 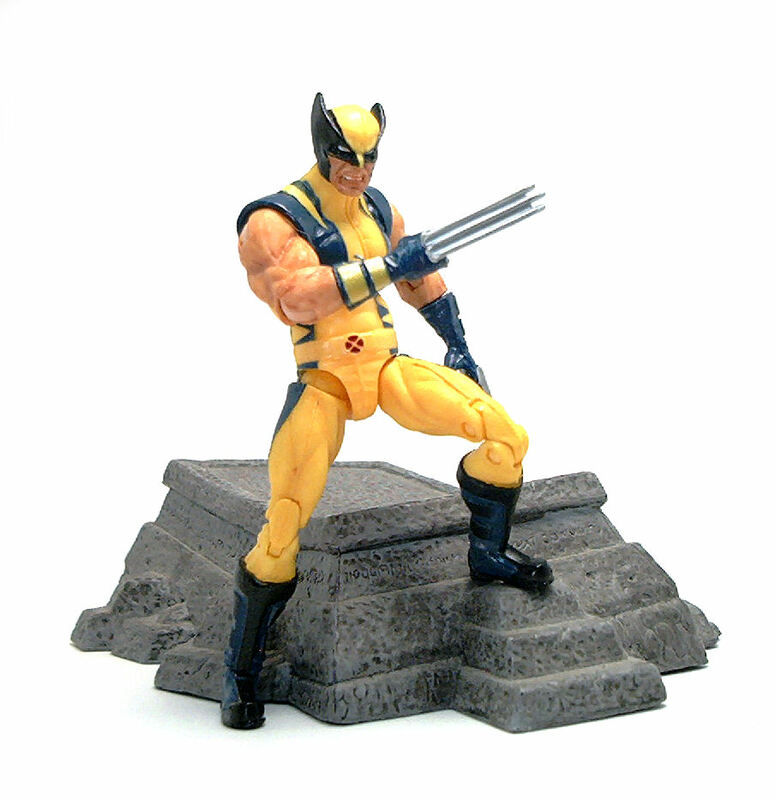 So, with all that in mind, I will go out and say that this is my favorite 3.75” Wolverine figure ever. The costume has crisply sculpted seams and lines, and the proportions are perfect for the character. I am not too familiar with this specific uniform, but it does look like an update to the vintage spandex look. The color scheme is fundamentally the classic yellow/blue pattern, but instead of using straight-up primary colors, the yellow sections were given a shading wash with a richer golden yellow tone and the blue is a muted dark, phtalo blue that provides a nice contrast and yet isn’t as stark-looking as the primary colors combination. 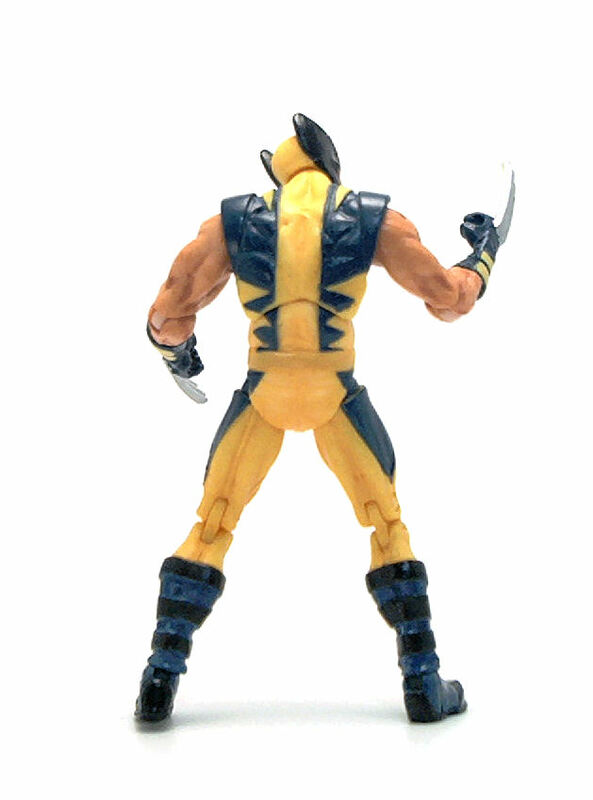 Unfortunately, the figures from the older Wolverine line were known to have rather wobbly hip joints, and to some extent that holds true for this version of Wolverine too, although it isn’t as bad as it was back then. I guess that this is one case where mold decay actually worked in favor of the figure because Astonishing Wolverine has good stability and the joints feel slightly firmer. The paint applications on the figure are generally good, although not without problems, especially in the face area. The black mask areas were slightly off on several of the figures I saw in the store, and some had really bad paint rubs on the chin. On the costume the errors were not as evident, although wavy lines and slight paint splotches here and there were not uncommon. 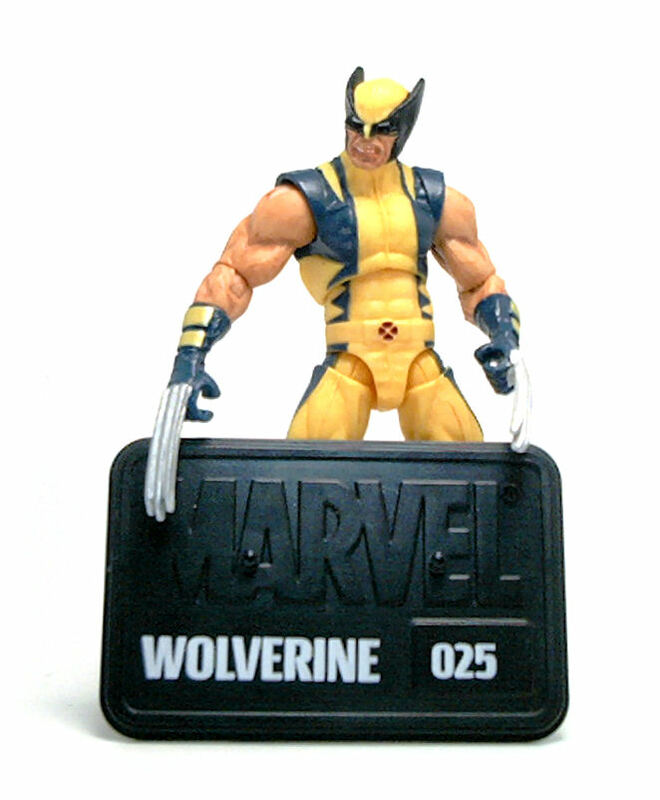 Even though the hands on Wolverine are sculpted to hold accessories, the figure actually comes with none, other than the included Marvel Universe personalized display base. 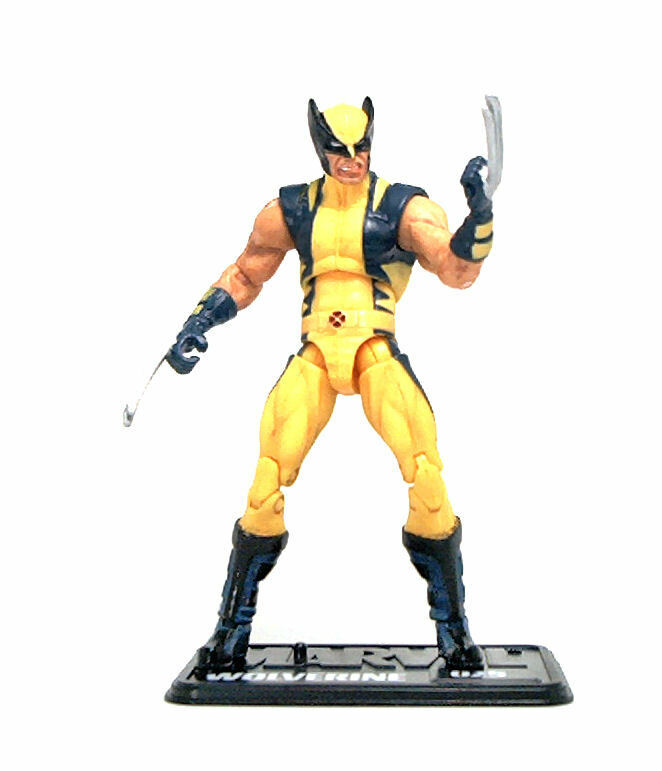 Now, I must confess that I already had the X-Force pack version, so I did know beforehand what to expect, but once I got the figure out of the package, I liked the Astonishing version quite a lot more, despite the minor paint issues and the slightly loose hip articulation. I don’t understand why they don’t give him swappable hands for accessories. I’d have to paint the belt, solid otherwise. Where is that display piece from in the last picture?